Authors and Contributors — Who Are the Armenians? Susan Paul Pattie was born in Washington, D.C. and now lives in London, U.K. Her grandparents were born in the Armenian village of Kessab (now in Syria) and after the Genocide, settled in Pennsylvania where her mother was born. Susan’s favorite food is ice cream though she especially enjoys cooking and eating lots of Armenian foods that her grandmother taught her to make. Dr. Pattie received her PhD in Cultural Anthropology at the University of Michigan, Ann Arbor. Co-founder and formerly Director of the Armenian Institute, London, she teaches and writes about the Armenian diaspora. Gagik Stepan-Sarkissian lives in London, U.K. but was born in Tabriz, Iran. His mother’s parents were originally from Van (now in Turkey) while his father’s family had been living in villages near Tabriz for many centuries. Gagik likes to cook and his favorite food is rice cooked in the Persian fashion with kebab. He is trained as a scientist, receiving his PhD in Biochemistry at Sheffield University where he taught for some years. Dr. Stepan-Sarkissian is the Librarian/Research Advisor and teaches Armenian at the Armenian Institute. Maral Kerovpyan was born and lives in Paris, France. Her mother was born in Washington D.C. (United States) and her father in Istanbul (Turkey). Her Armenian great-grandparents were from Kessab (now in Syria), Erzerum, Sebastia, Kütahia and Rodosto (now in Turkey) and her American ones lived in Pennsylvania and Kansas. Her favorite foods are lahmadjun and mangoes! She loves drawing, singing, meeting new people and climbing trees. Maral studied social sciences and arts, and works as a graphic artist, animator and children’s workshop leader. 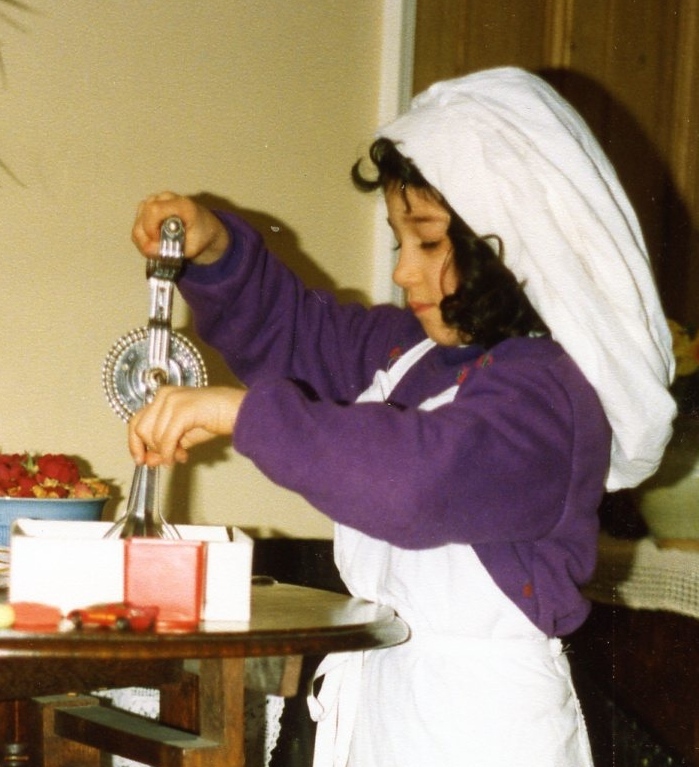 Born in London, Shakeh Major Tchilingirian spent her formative years in Tehran, returning to England when she was 15. Shakeh started dancing ballet and Armenian folk dances at the age of six. While professionally she works as an eye specialist (Orthoptist), she loves dancing, singing and acting, and having fun with family and friends. She continues to research Armenian dances and is passionate about keeping the tradition of public folk dancing alive with people of all ages and nations (www.shakeh.info). Gary Lind-Sinanian, from Boston, is the curator of the Armenian Museum of America in nearby Watertown, Massachusetts. Watertown has a large ”Little Armenia” neighborhood and many people have donated their old family heirlooms and books to the museum, which is the largest Armenian museum in America. At the museum he collects and preserves the objects and has designed many exhibits. One can usually find Gary in the museum’s basement workrooms, helping to catalog and study the historic treasures of the community. He also studies folkdance, writes, and lectures on Armenian crafts and history. Susan Lind-Sinanian was born and lives in Boston, Massachusetts. She loves to do Armenian needle lace which she learned from one of her grandmothers and Alice Odian Kasparian. Susan also likes to do dances from around the world, especially Armenian dances with her husband Gary. In this photo, Susan is preparing for Family Day, a fun activity for children at the Armenian Museum of America in Watertown, MA. Susan enjoys her work as Textile Curator at the museum where she takes care of and exhibits costumes, embroideries, laces, and rugs.